I do exactly what the person in this (https://www.youtube.com/watch?v=TeKepjnntWM) video does between 2:01 and 2:20 - I add 3 photos, place them inside a video group in timeline animation and use the crossfade effect to animate the transitions between them. This, however, doesn't work properly when I export the gif (Sample: https://imgur.com/a/GFOADT6) Instead of the 30 fps animation I had set up, photoshop exports only 5 frames that lack the fade effect between them. 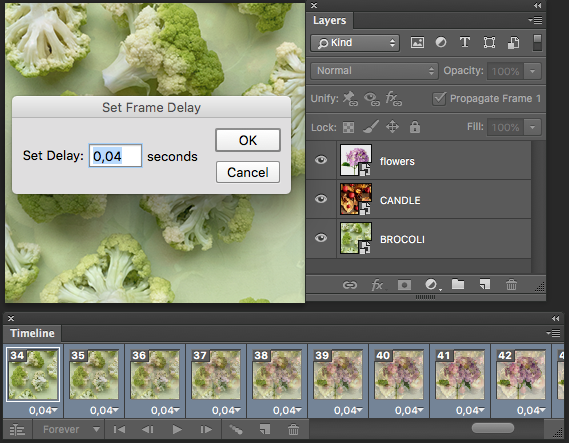 Exporting as a video works fine, but the tutorial I linked shows that shouldn't be necessary. How do I fix this? Not the answer you're looking for? Browse other questions tagged adobe-photoshop export animation gif or ask your own question. Adobe Flash CS6 won't Export Animated Gif - How do on the main timeline? 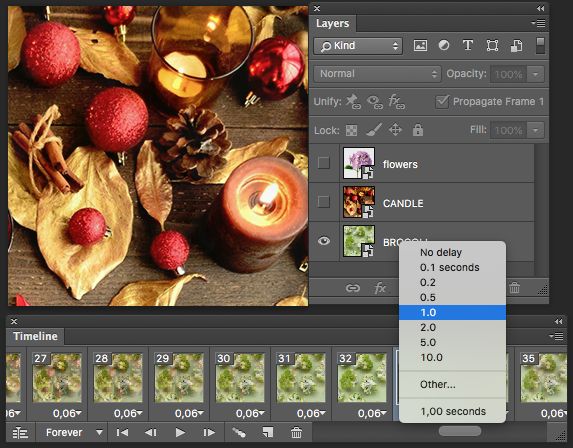 How do you save an Animated GIF file using Photoshop?